Obituary for Jean C. (Donaldson) Kline | Mason-Gelder Funeral Home, Inc.
Jean C. Kline, 90, of Columbus, OH, formerly of Penn died Tuesday, January 15, 2019. She was born January 3, 1929 in Jeannette, daughter of the late Elmer, Sr. and Elizabeth Peden Donaldson. Prior to retirement, Jean worked as an administrative assistant for General Tire & Rubber Co. in Jeannette. 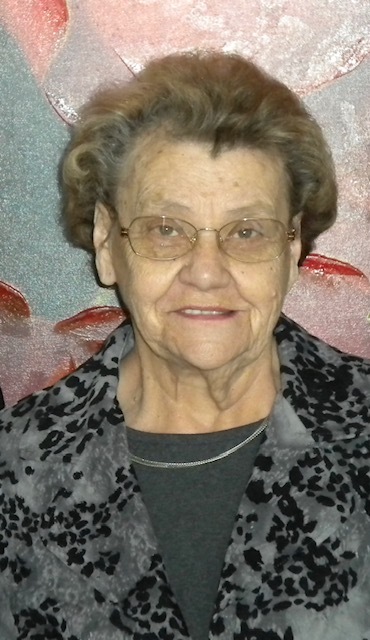 She was a life member of American Legion Post 981 of Greensburg, and a member of Penn Evangelical Lutheran Church. In addition to her parents, she was preceded in death by her husband, Donald G. Kline, and a brother, Elmer C. Donaldson,. Jr. Jean is survived by her brother, Glenn "Skip" Donaldson of Greensburg, four children, Jeff Hall (Brooke) of Claridge, Keith Kline (Lynn) of Spotsylvania, VA, Suzan Evanovich (Dolan) of Syracruse, NY, and Eleanor Duff (David) of Mountain View, CA, nine grandchildren, Eric (Colleen), Ryan (Debra), Justin (Danielle), Michael (Maura), Lauren, D.J. (Saara), Blair (Jacob), Alex and Megan, seven great-grandchildren; Drew, Alannah, Braden, Avery, Max, Myles and Zoee, nieces Wendy Donaldson and Lisa Donaldson, nephew, Kim (Sue) Donaldson and numerous beloved cousins. Friends will be received Saturday from 9:00 am until time of service at 11:00 am in the MASON-GELDER FUNERAL HOME, INC., 201 N. First St., Jeannette with Rev. Robert Marks and Rev. Roger Steiner co-officiating. Interment will follow in Brush Creek Cemetery, Irwin. In lieu of flowers, contributions may be made to Penn Evangelical Lutheran Church, 601 Harrison Avenue, Penn, PA 15675.